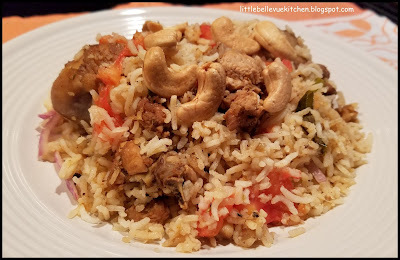 Marinate chicken pieces with 2 tbsp of chicken biryani mix for 30 minutes. 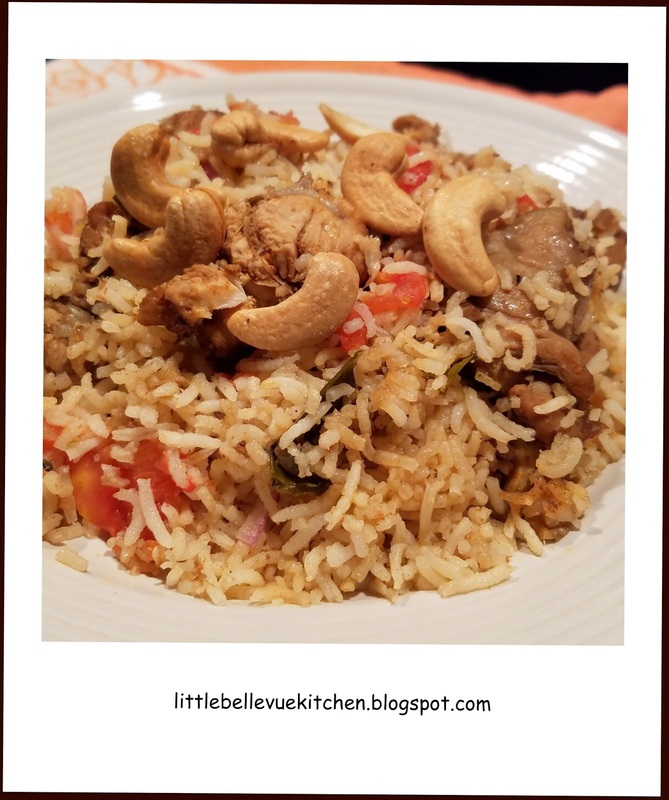 Soak basmati rice for 30 minutes, then drained. Fry shallots in hot oil until light golden. Add ginger garlic paste and curry leaves. Fry until aromatic. 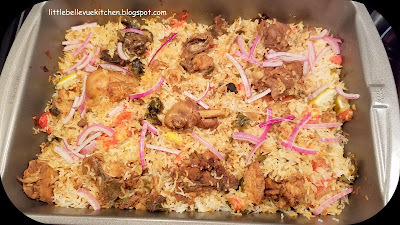 Add chicken pieces, green chilies and the rest of the biryani mix. Fry to mix well. Add tamarind water and 1 cup water. Bring to a boil. In another pot, boil 6 cups of water. When water comes to a boil, add soaked rice and stir in 1 tsp of salt. Continue to boil rice until 3/4 cooked, about 5 to 8 minutes. Spread some curry gravy on a baking tray. Add a layer of rice. Top with a layer of chicken curry. Add a layer of rice again and finally place the rest of the chicken curry on top. 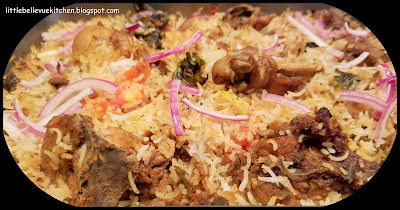 Bake in a preheated oven of 300 degree F.
Give the biryani rice a few tosses. Throw in some thinly sliced red onion and continue to bake for another 15 minutes. 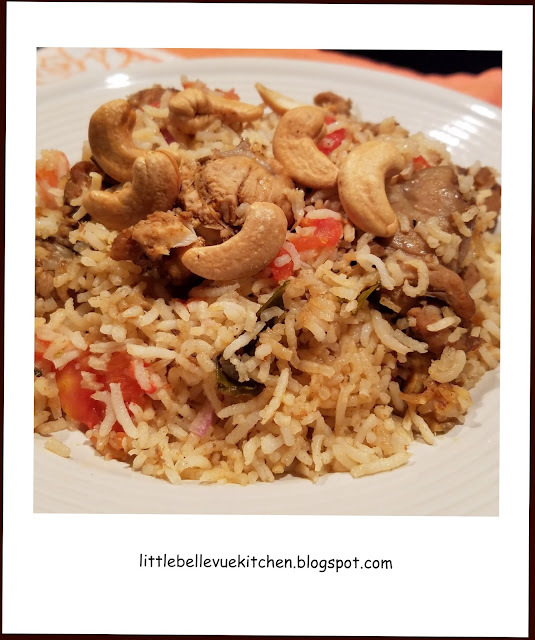 Top with roasted cashew nuts and serve warm.